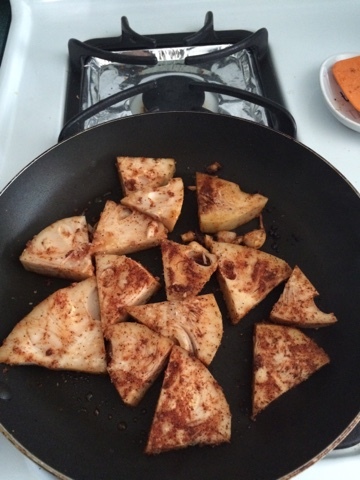 The Vegan Mouse: Happy New Year! 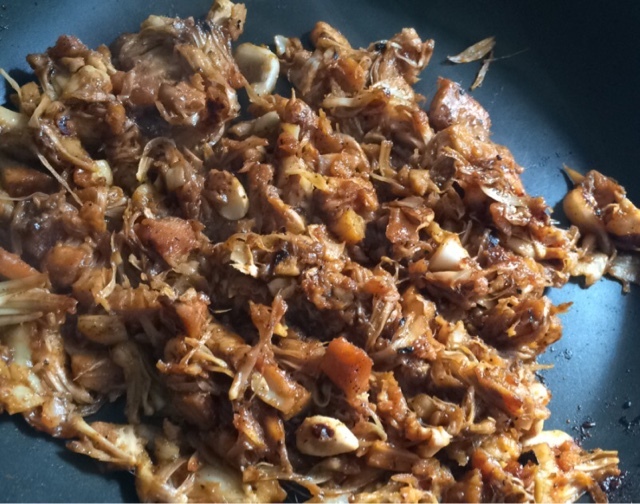 BBQ pulled jackfruit and mocha chip loaf. Happy New Year! BBQ pulled jackfruit and mocha chip loaf. I wanted to take a bunch of pics with my phone but it ran out of space so I couldn't take more than two photos. I need to free up some space! 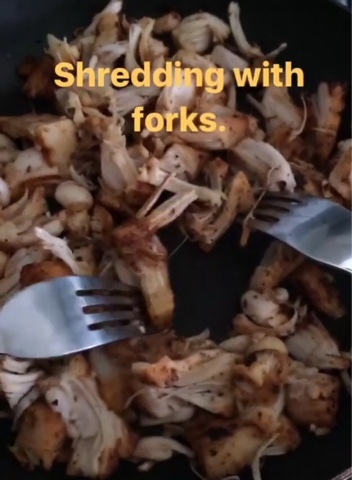 I ended up making an Instagram story with it and screenshot some pics. 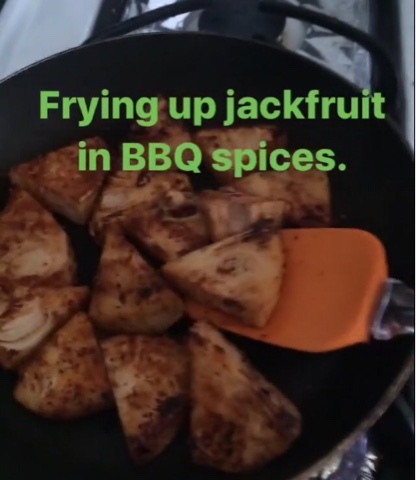 This first pic is frying up the green jackfruit in oil after being covered in BBQ rub. 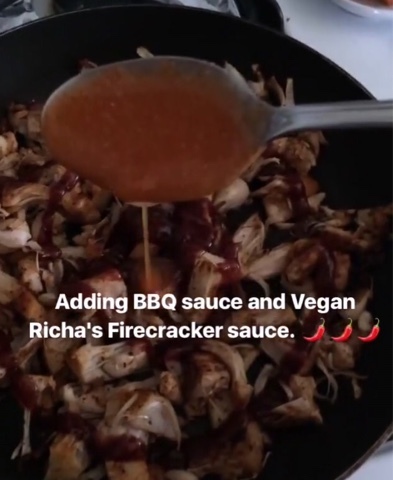 I got Vegan Richa's Everyday Kitchem cookbook for Christmas and I made the Firecracker sauce. It's spicy goodness! 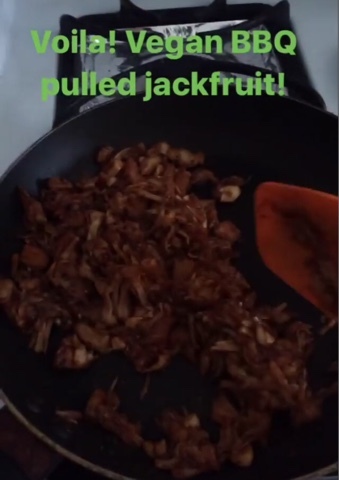 After stirring up and mushing it around, I had gorgeous pulled jackfruit! Finished product. These will go into buns with fresh coleslaw. 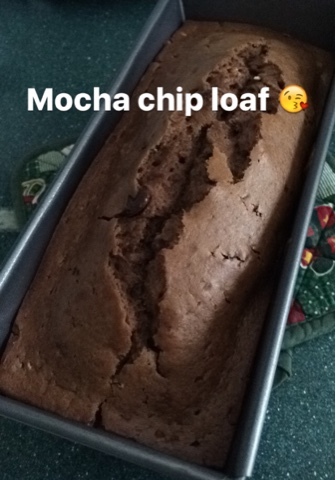 I also made the mocha chip muffin recipe into a loaf from Vegan With A Vengeance, To be eaten on a plate with a scoop of vanilla soy ice cream! Do you have an Instagram account too? Please share! I love the food you make...you're always so enthusiastic about food, it's so nice! My ig is kmouse76. It's not a food related ig at all. It's primarily a vegan makeup ig. It's something I like to do to de stress! Thank you for the compliment about my blog!